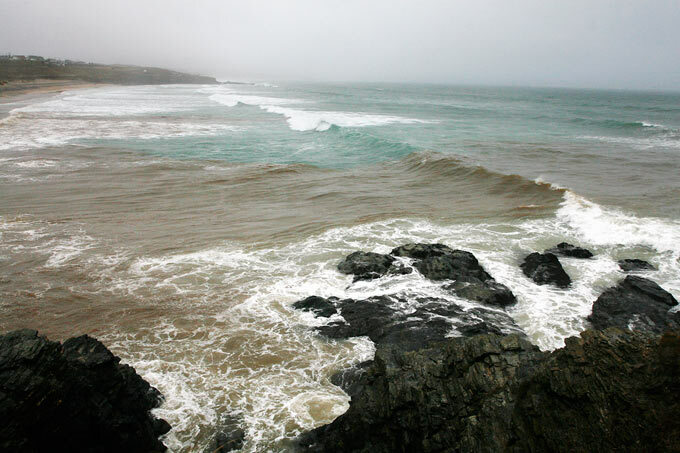 The 2011 bathing season results are released today and the figures are raising concerns at Surfers Against Sewage (SAS). Many beaches in England and Wales may be meeting woefully inadequate water quality standards set down 35 years ago, but this still leaves bathers exposed to significant numbers of sewage spills and possible serious health implications. Today SAS will brief Defra Minister Richard Benyon MP on their pioneering Sewage Alert Service. This service has delivered the public with unprecedented insight into how frequently raw sewage is discharged into the sea. Since May 2011 SAS has sent out 64,000 free real time sewage warnings. The high number of sewage discharges is a major threat to water users’ health and to the UK’s chances of reaching the stricter bathing water standards from 2015. Sewage discharges and related health impacts can easily slip through the current water quality testing programme. SAS’s Sewage Alert Service is a free real time system that informs people when sewage has been discharged via a Combined Sewer Overflow (CSO) the sea. SAS post the information on their map at www.sas.org.uk and also send out free text alerts. This summer SAS was able to share this real time information at 47 beaches, the majority of them being Blue Flag Beaches. But the considerable number of discharges was worrying. SAS’s Sewage Alert Service gives beach users vital water quality information when they need it most - when sewage is in the sea and water quality can be compromised. Unlike the UK water quality testing programme which is retrospective. SAS are working with South West Water, Welsh Water, Wessex Water, Yorkshire Water, Southern Water and Northumbrian Water and receiving technical advice from the Environment Agency and Defra. SAS will dramatically upscale the beaches in the Sewage Alert Service for 2012 and beyond. Unfortunately, 97.8% of England and Wales’ beaches meeting an outdated and inadequate standard is nothing to shout about. Defra figures show that bathing at a beach with a mandatory standard could give you 1 in 7 chance of contracting Gastro Enteritis. The higher guideline standard can still offer you a 1 in 20 chance of contracting Gastro Enteritis (achieved at 88.2% of beaches at England and Wales). In 2006 SAS helped secure tougher new bathing water standards that will offer better protection to water users. These standards in the revised Bathing Water Directive will come into force in 2015 and include 4 years of continuous bathing seasons data. SAS are also promoting their Think Before You Flush campaign to encourage the public to stop using the toilet as a wet bin as this can result in sewer blockages and sewage discharges. And SAS are impressed with EA pilot projects tackling diffuse pollution, another impact on water quality.